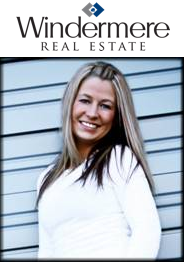 My name is Christie Kay, I have been selling real estate since 2001 and joined Windermere NCW, a well known and established real estate company in Wenatchee, WA in 2007. My success stems from my desire to help people succeed and prosper. Whether buying or selling, I deliver results! The real estate industry in Chelan and Douglas County is becoming more sophisticated and challenging every day, you need a professional broker that understands the industry and is positioned to stay ahead of the game. My approach is simple; to listen, to guide and to deliver! I am assertive, professional, fun and I also have a background in finance which I believe sets me apart from other Realtors. I would gladly go the extra mile for all my clients to make sure each deal is smooth and successful!! Whether you are looking to buy or sell in Wenatchee, East Wenatchee, Cashmere, Monitor, Dryden, Rock Island, or Malaga, I promise to make you my first priority. I truly look forward to seeing my clients through no matter how much time it takes.